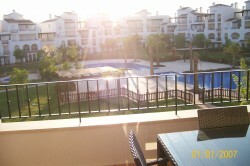 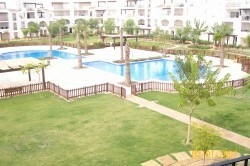 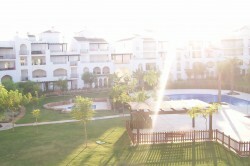 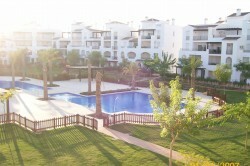 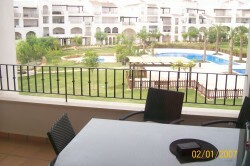 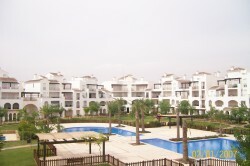 Our two-bedroom apartment overlooks the communal pool at the La Torre resort. 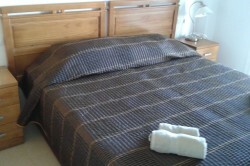 It sleeps up to 4 people and is beautifully furnished and decorated throughout. 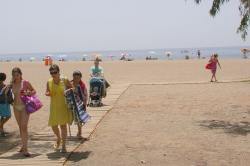 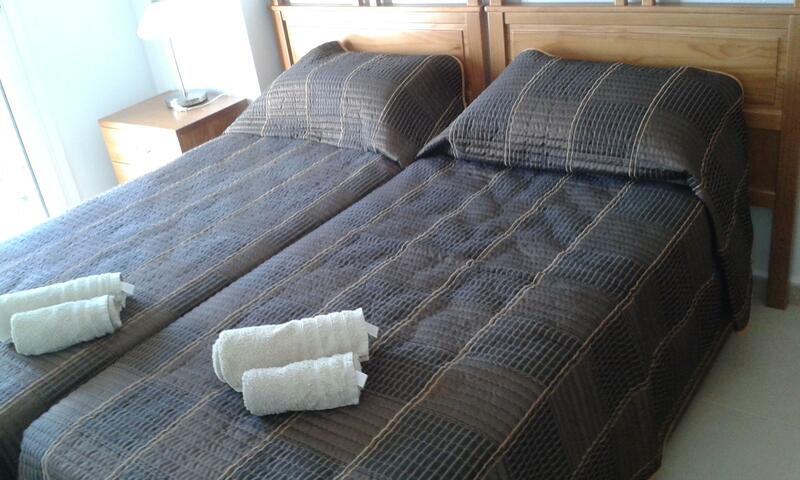 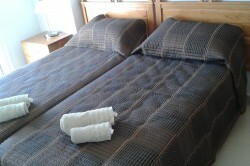 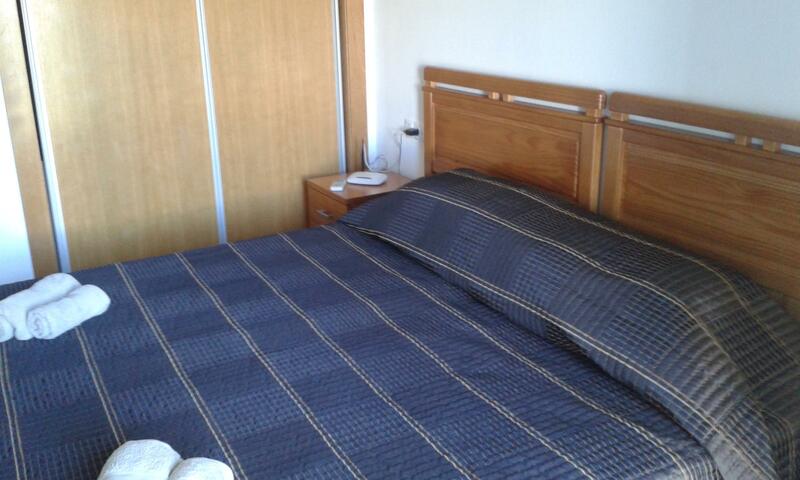 All rooms are air-conditioned and centrally heated for maximum comfort. 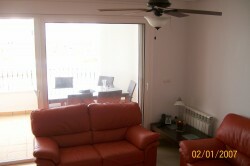 The apartment also has secure underground parking, with a lift available from the garage to the second floor. 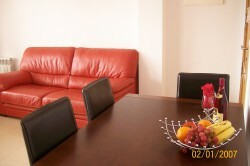 We offer a comprehensive meet & greet service and a full introduction to the apartment and the facilities it has to offer. 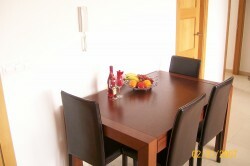 We can also arrange for a welcome pack of provisions to be put into the apartment for those arriving late. 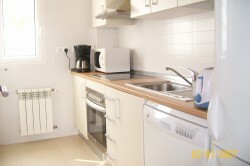 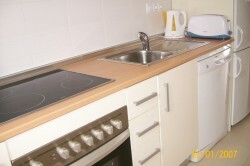 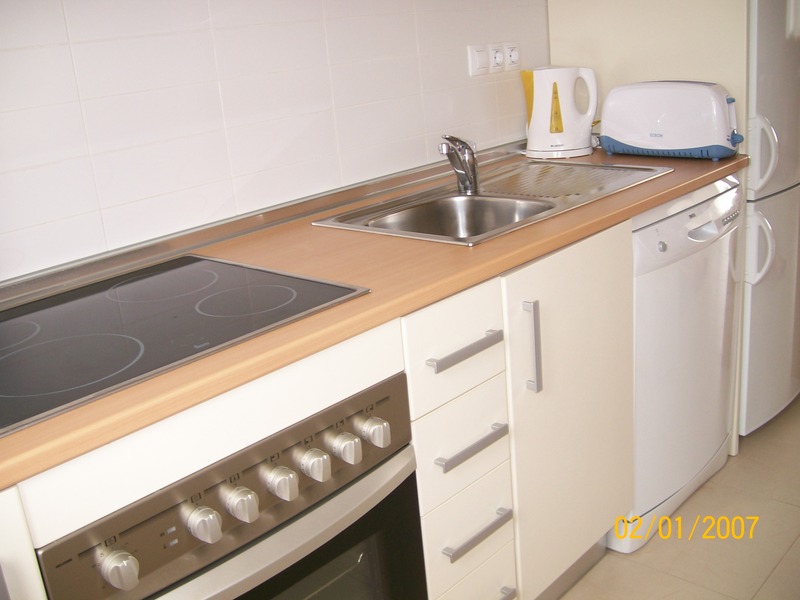 The apartment features a fully-equipped kitchen including a dishwasher, oven, hob, microwave, fridge freezer, kettle, toaster and a number of storage cupboards. 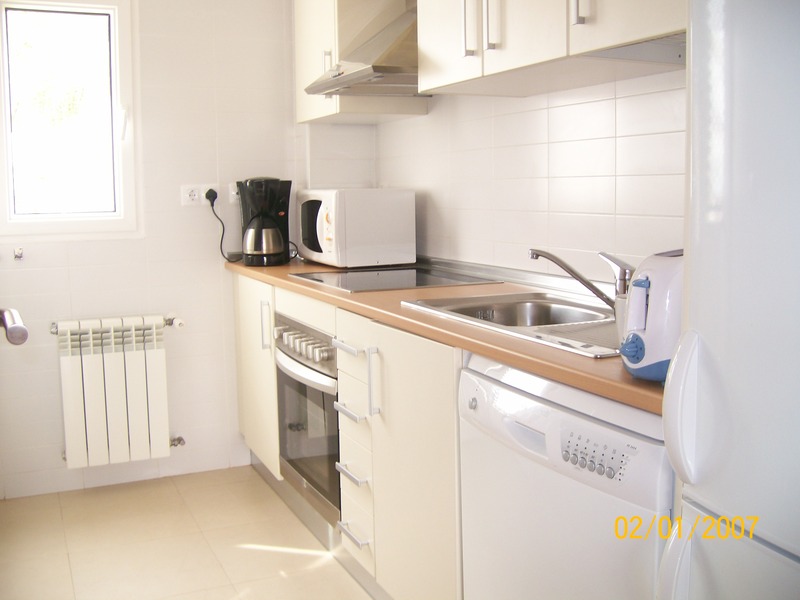 Additionally, the kitchen leads to a utility room which features a washing machine, iron & ironing board, drying facilities and a storage area. 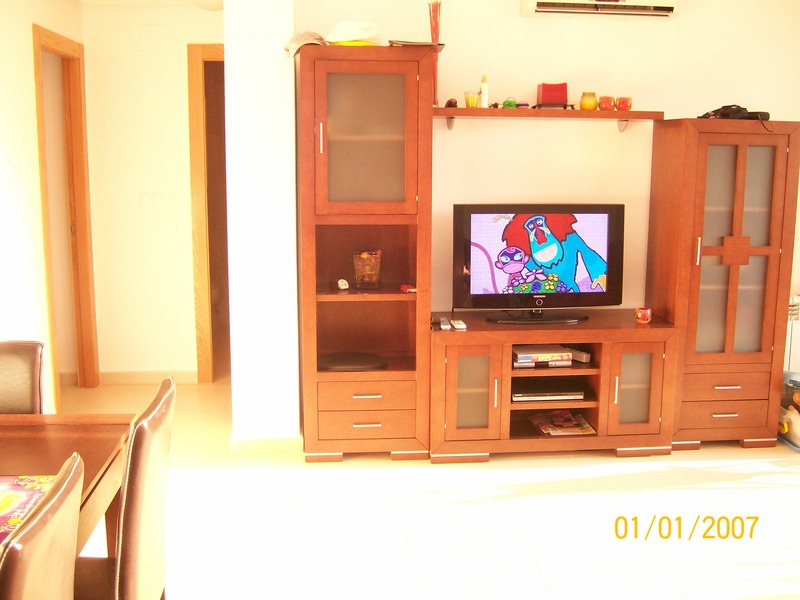 The living room features two large comfortable sofas, a four-seater table, and a 32” HD TV with satellite TV, which can receive children’s channels and some British stations. 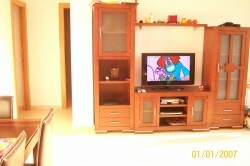 There is also a DVD player with over 50 DVDs available. 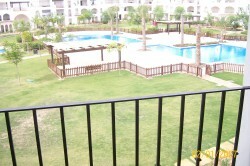 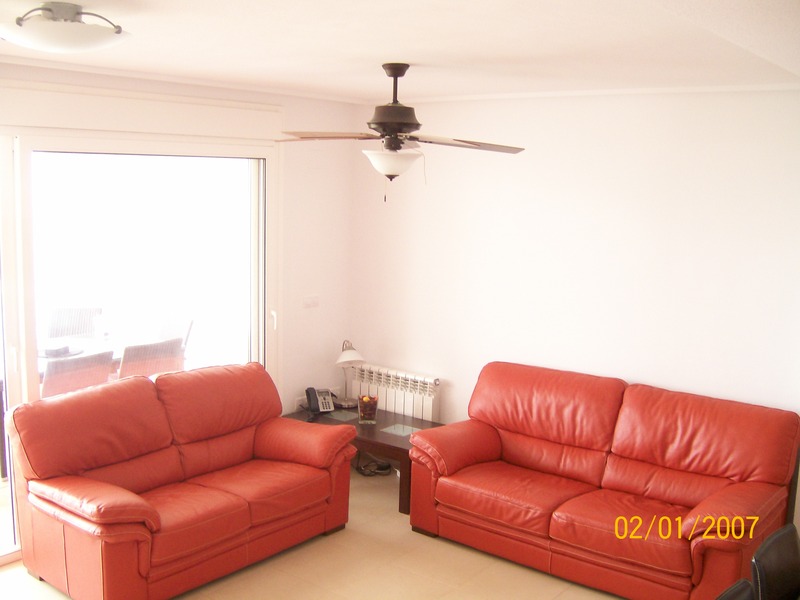 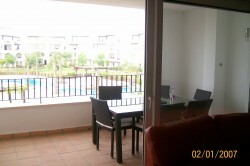 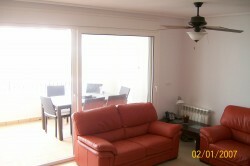 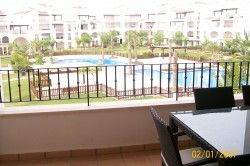 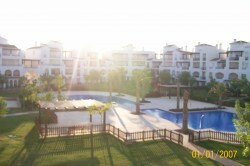 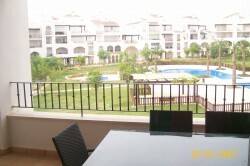 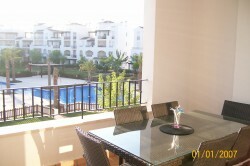 The apartment has a large terrace boasting fantastic views. 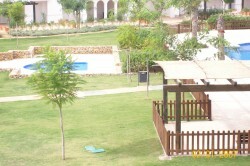 You can sit on our luxurious terrace furniture enjoying a glass of wine – you will take in the spectacular vista over the beautiful sparkling pools, and in the evening relax under the setting sun overlooking the family swimming pool area, which after dark becomes floodlit and offers a relaxed romantic setting. 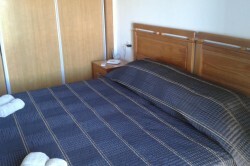 The apartment has two bedrooms and sleeps up to four people.